I’ve been getting into Alan Hirsch’s weighty book ‘The Forgotten Ways.’ Fantastic book, but meaty. There he is talking about the similarity between the missional environment that the early church grew up in (before Constantine came along and invented Christendom) and the current day world which many are calling post-Christendom. Hirsch is maintaining (and I believe him) that in order for the church to re-engage and adapt for this coming century, we must recognise the conditions we’re in, re-establish what he calls the Apostolic Genius and once again take a missionary stance. Its not to dissimilar to what McClung is saying in his book, which for me is encouraging because over these last 8 or so months, I’ve been thinking a lot about what kind of mindset the Army needs to be in in these days. McClung and Hirsch are just helping me to put into words all that I’ve been wondering about all this time. The other thing that has really struck me is if we follow this thinking, we can’t just be borrowing mindset and structure. Although missionary mindset and maybe even early church structure (house movements etc) are helpful new ‘old’ wineskines for today’s society, I feel it has to be much more than that. You cannot read the New Testament and remove the miraculous work of the Spirit. From the time of John the Baptist coming to preach repentance, the Kingdom, salvation for the world and giving the world its first fresh revelation for 400 years all the way up to the end of Acts, we see Spirit-driven ministry in action. I firmly believe that as well as redigging the forgotten ways of missional church, we need to be re-discovering afresh the power of the Holy Spirit. Last Saturday I did a funeral. Young girl in her 30s. When I was speaking with her family they were talking about their spiritual beliefs, the girls spiritual beliefs and simply how, although they like the idea of God, church didn’t cut it. My heart ached as I wished I had something here to offer that was different to what they had experienced elsewhere. Its definitely not that people aren’t searching, its just that they don’t see in our expression of Christianity what they’re looking for. This is why I’m convinced that we can’t just be looking for new wine-skins (structural and ideological patterns)…we need the new wine of the Spirit to be poured into it too. The gospel for post-Christendom has to be one that displays the power of God. I heard someone say recently that when John the Baptist came on the scene, he also began the move away from the institutionalism of religious culture of Judaism. The fact he was preparing the way ‘in the desert’ and doing his stuff away from the religious institutions was perhaps indicative of a similar time to we are in. 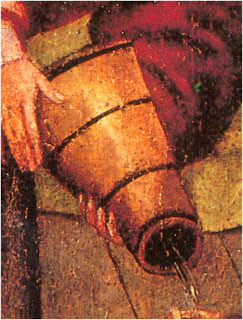 The challenge for the Army too(which is well into museum/monument stage)is to begin establishing new wine-skins all over the place and begin filling them with new wine (non-alcoholic of course) and hope and pray that the ‘institution’ won’t stamp out what they can’t control. I’m glad to have been a ‘Preparer of the Way’ at training college for our nine months there…got the flag and the t-shirt and everything! It struck me today when I came across it again and its just been on my mind all day. Being a sort of visual person, that whole thing just speaks volumes to me. It reminds me of a discussion I had at bible college with a good friend of mine, Jim. Although he was much more of a lad than me, we come from similar backgrounds and similar conversions. We lived in the same town, in the same culture and I guess paid the price in different ways for it. We got to talking…in fact, we were praying and we talked to God about this stuff. The whole thing of wanting to be in the business of rescuing people from Hell. We’d been rescued, you see, and we wanted to do the same. Jim now runs a great youth project in Ayr, near where we were brought up. He is literally altering the lives of young people in our home county and although the website may not give the impression, Jim is an active evangelist and won’t be missing the opportunity to share with these kids. 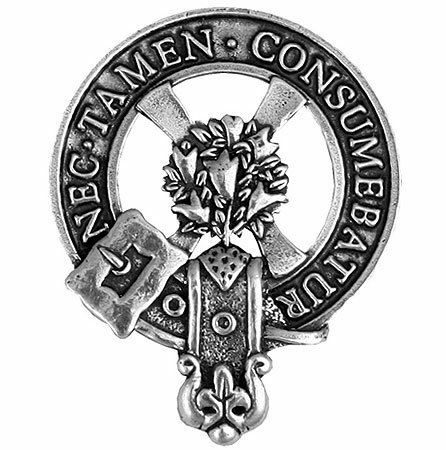 If I suppose if I were to reflect on what the last 4 years as a commissioned officer and 2.5 years as a lieutenant has done to me I’d have to say that I know for a fact what God created me to do. The struggle over these last few months has simply been a refining of that assuredness. I’m Salvationist to the core. I am extreme, I am passionate, I am a burning fire. My heart is to be seeking the lost, rescuing the poor, lifting the fallen, changing the world. Yeah, sure, I do some of that. But my officership is a poor reflection of who I am most of the time. I had been feeling trapped with officership, but I know it shouldn’t be this way. When you take a few steps back and consider The Army, I guess its easy to be feeling trapped by it. Our autocratic heirarchy is fine when it is releasing and effectively managing resources to fuel the mission, but when its not…its a monster. Can any of us disagree with that? This is what I do for myself. I immerse myself in all that will help me to wage war effectively because out of that environment comes me! The conflict of identity comes when I ask myself why I am not the me outside that I am inside. I just never seem to be able to be the person I am. I could blame the enemy, the Army, the corps and all those things have a part, it is fundamentally about me. The downside of this is that I begin to get frustrated because people don’t see the same vision or have the same outlook. I don’t just want to avoid ‘living within the sound of the church bell’, I get angry about those who are content to dwell there when all around them people are sinking. We are surrounded by people going to hell…unless they are saved. That is the bottom line. I need to lose my life, myself, my pride, my timidity and step forward behind Jesus, for Jesus…to do something about the lost. I want to be leading people to Jesus more and more, praying for people, talking with people, blessing people, speaking prophetically to the community about the coming of the Kingdom to them. I have opportunities surrounding me each day, I’ve got the ideas, the passion and God knows I’ve got the heart but what I lack is the courage. HARARE CENTRAL—The Spirit is at work in Glen Norah. Although the corps has been going through a period of rebuilding and transformation, many people in the community received Jesus Christ as Savior and Lord through the corps’ evangelistic activities last year. Majors David and Joyce Mukoti, retired officers serving as pro-tem Corps Officers, report that they enrolled 138 soldiers in 2007. “We are grateful to God for his mighty work in Glen Norah Corps,” says Major Friday Ayanam, Area Commander. Seems like we need lessons. Couldn’t have said it better myself! I suspect he was a closet Primitive Salvationist! Major Carol Young is calling the Army to arms against some of the prevailing strongholds in the United Kingdom, alcohol and prostitution (see link on the right). These are area’s we’ve traditionally fought well on but where we, as The Army, are sadly losing ground to. Mainly because we try programmes lacking the power to save. Have a read and consider your response on your front. Are the issues the same where you are? Is there anything you can do other than pray? Go do it. I don’t know what its like in England, but in Scotland prostitution has recently been criminalised in that where there were red light districts that were tolerated, they are no longer. That might sound good, but the upshot of this is that prostitution will most likely have gone underground making girls much more difficult to rescue and support. Scotland are good at tackling symptoms without dealing with issues, as many governments are. Our world is full of broken people that need the healing and restoration that the presence of God brings. Lets be carriers. We can be very comfortable in the church in accepting the role of the pastor, teacher and evangelist. To some extent we’re content with the prophet until he/she says something we don’t like, but the apostolic ministry is something many of us have trouble with or simply don’t recognise. There are three sense in which ‘apostles’ existed/exist. First, there are those who saw the resurrected body of Jesus and were given the great commission first. We call them ‘the apostles’. I am sure you know the linguistic roots of the word simple means the ones what are sent. In that sense, Jesus was the first great apostle because he was sent from the Father and he then says to the disciples, now I send you. So there is that first pioneer apostles, which included Paul because the Lord also appeared to him and gave him that initial commission. Second, there are apostles today. Ephesians 4 clearly says that apostles are given for the church today. Of course, not in the sense of ones who’ve seen the risen body of the Lord in front of them, but in the sense that they are called and annointed with a ministry of starting new churches and pioneering in new places with new ways, providing new wineskins for the new wine. In that way, you could say William Booth was clearly an apostle. Thirdly, there is a sense in which the whole church has to be apostolic without everying necessarily being apostles. In the same way that not all are evangelists but all occassionally do evangelism, I feel the church is called to be ‘apostolicly’ mobile in as much as we’re all sent, we all have that commission upon us. We must be boldly asking the questions ‘what is it you are asking me to do?’ I believe God may have an apostolic task for many of us in the sense of there being some thing he is asking us to do to advance the gospel in the world to stretch the church out and lead it to widen the skirts of its tent (thats Isaiah speak…check it out). Why do I say all this? I guess Tracy and I are both sensing we’re about to be stepping out on an apostolic assignment. We’re leaving behind our key roles as teacher/pastor (Tracy) and prophet/evangelist (me) to a place which is clearly apostolic. All that God has been teaching us both in recent days and months has fuelled apostolic passion in us both. The appointment to Torry has finally made sense of all that we’ve sensed we’ve been called to begin building. Its an ideal place for creating new wineskines because there is very little at Torry at the moment. I smile at the ‘the Clarks have been demoted’ school who still live in the world of moving from small corps to larger corps, to medium corps to big corps. I think my mother-in-law (and maybe others) thinks we’re taking steps backwards. Actually, if ever we’ve had a sense of being sent, its now. So yeah….Aberdeen Torry is our new appointment which we will take up in August. It is a distinct community just south of the city centre of Aberdeen. 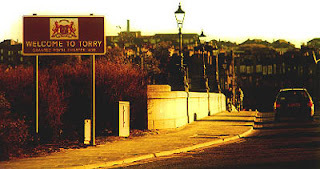 Torry contains a couple of the poorest 5% neighbourhoods in the whole of Scotland. In fact, the vast majority of Torry is within the 15% bracket of the poorest communities in Scotland. Don’t misunderstand, I’m not heading there with a million pounds, but I’m heading there with a whole lot of passion to see the broken restored, the oppressed released and the blind see. At the core of my being, I believe that The Salvation Army only makes sense when we are reaching out to the poor with the life-giving message of the gospel. I think the fact that the Army has become middle class in many places is a sure sign that we’ve successfully managed to transform families and bits of society as we now have long term Salvationists, generations of families, who are ‘well healed’ financially and as far as societal standing goes. The big challenge for the Army is to continually be marching back into the city centres where life is messy or indeed to be lavishly giving to the poor in any setting. Its probably safe to say that some people think we’re nuts…why we’d leave a lovely town and corps like Wick and all that brings to live in a place like Torry. By faith I can see Torry beautiful…I believe in that scriptural madandate to rebuild, restore and renew places long devastated (Isaiah 61:4). If you can fill in the pieces and read between the lines of all that I’ve said over the last months it won’t be difficult for you to realise that on a very personal level, I’ve been struggling to work out our calling in the context we’re in. Our move is much more about us trying to follow what we really sense God saying and what we sense he wants to do in us and through us. The really difficult thing for me has in trying so hard to be a faithful servant to the good folks at Wick I’ve felt increasingly less and less like myself and that I was starting to become someone different to who God made and is making me. There is only so long a person can do that sort of thing. Why did I do that? I guess its what I thought I had to do out of a place of just wanting to serve and trying to make this appointment work. We were appointed here, and duly came here in good faith. I can honeslty say that whilst we sensed the absolute rightness of an appointment in the Northern parts of Scotland, we’ve struggled all along with the ‘rightness’ of Wick. We’ve tried to make it work in faith the Army got it right. And certainly, the year has all been in God’s plan, I am sure of that. The journey here has involved lots of difficult decisions, desperate conversations, sleepless but prayerful nights to get to this point. There are some people who’ve been on that journey with us, even a couple of people locally who we’ve been able to confide in. For this we are grateful, not only for their support but their discretion as we’ve worked stuff out. There will not be few who will be having critical thoughts about us at the moment. Colleague officers, soldiers, friends, family. Folks who believe that the appointment system shouldn’t be challenged regardless of what it does or produces. I understand those things. Thing is…following God isn’t always as clear cut as following processes. Don’t we wish it was sometimes? Anyway…difficult as it is been in getting to this point, it good now to be able to keep up the unwritten policy of my blogging of sharing what’s on my heart. Thanks to all who contribute to the discussion, publically and privately.